Innumerable people visit medical facilities in Houston. All their health records and information are stored in the facility and it is needless to say that all this data is confidential. Outsourcing has gained immense popularity in the recent years. Its primary cause is its ability to provide a better human capital at a fraction of the costs. Outsourcing especially information technology outsourcing, is the assigning of some of your non-core IT related business processes to a third-party vendor on a contractual basis. A computer service contract for your office has to be renewed at a regular interval to make sure that there is no break in regular services from the existing IT systems. When negotiating terms of a service contract, it is important to learn your basic stuff well. Hiring a full-fledged IT staff for your organization is expensive on many levels. 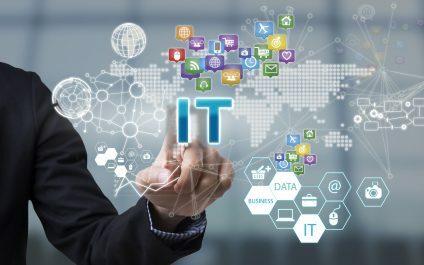 The costs of operating a full time IT services team within your office premises are even larger than you might have thought. Be it the faulty mouse, irritating screen or need for huge networking infrastructure setup, all problems requiring IT consultation often make life tougher for small businesses in Houston. In today's world, for businesses to succeed, there is the need to embrace technology like never before. Technology has progressed in leaps and bounds over the last decade, and business processes have been transformed by its use all over the world. For businesses, good quality managed IT services is the need of the hour. Being current and updated in terms of technology is often what makes the difference between success and failure for a business. To achieve success and reach goals, it is crucial that the right and most relevant technologies are given a role in the workplace, with the view to streamline and enhance daily processes and make them faster and more intuitive. As a business owner, you might find it difficult to find an IT services company in the Sugar Land TX area which meets all your requirements. IT companies come in many shapes and sizes, and come with their own pros and cons. For your particular requirements, finding the right match might become a tedious task.